The American Academy of Sleep Medicine urges U.S. House legislators to co-sponsor House Resolution 46, which expresses support for soldiers and veterans with obstructive sleep apnea and PTSD. This bipartisan resolution is being sponsored by Rep. Sam Graves, Member of the House Committee on Armed Services; Rep. Timothy Walz, Ranking Member of the House Committee on Veterans’ Affairs; Rep. Sanford Bishop, Co-Chair of the Congressional Military Family Caucus; Rep. Scott Peters, member of the House Veterans’ Affairs Committee; and Rep. Peter Roskam. The resolution also has received support from the American Legion. 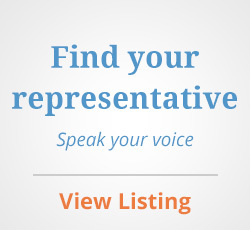 Please click on the button above to contact your representative and use our sample letter to convey your support. Research suggests that the prevalence of sleep apnea is higher among veterans than in the general population. A recent study of younger veterans of U.S. operations in Iraq and Afghanistan found that 69 percent were at high risk for sleep apnea. CPAP therapy is an effective treatment for sleep apnea, and research suggests that CPAP also reduces PTSD-associated nightmares and improves overall PTSD symptoms in veterans with comorbid sleep apnea. According to the National Center for PTSD, up to 20 percent of U.S. veterans have PTSD in a given year. Members also can make a donation to the bi-partisan AASM Political Action Committee (AASM PAC), which educates and financially supports lawmakers who are working to protect the future of your sleep practice. AASM PAC is the most effective and visible advocacy tool to advance the legislative priorities of the field of sleep medicine. AASM members who are U.S. residents can support the PAC by making a donation today. Please contact the AASM at policy@aasm.org or by phone at (630) 737-9700 if you have any questions about the resolution.